On November 1, Cordia came back out to pick up the Danube and bring some more saddles for me to try, both jumping and dressage. LOTS more saddles. Lots and lots. It was an intimidating delight to see them all lined up along the arena rail and saddle stands. We took over the entire grooming area with saddles. So many saddles! Cordia set them all on Poe. She nixed the ones she didn’t like and set aside the ones she did. Then I sat in the ones she liked on the saddle stand. A couple we were able to eliminate based on my leg being too freaking long or me feeling like I was in a chair seat. From the remaining, she picked two jump saddles and two dressage saddles for me to actually ride in. So all the below had the nod from Cordia for fit on him while in the cross-ties. My first jump saddle contender! I liked it fine. He felt pretty normal going around in it (walk, trot, canter), and he was willing to back up. It’s priced very nicely, wool-flocked, and has a more forward-cut flap (by design; it wasn’t a special forward flap model). I said I wanted to keep it and try a jumping lesson in it. Cordia said wait and try the next one. This was the second jump saddle. It’s also wool-flocked, with serge wool panels. In this saddle Poe was like butter. He lifted his back and bent easily to the right (right bend is never easy!) and had this extra loft through his shoulders. He felt powerful and loose. It was crazy time. Very clearly the most he’s ever liked a saddle. Cordia saw the same thing I was feeling. So I said I wanted to keep *this one* for my jumping lesson the next day. It’s twice my budget but daaang. My feet/legs felt appreciably more underneath me than with the Spring or my Beval (which feel about the same). I’ve never felt in a chair seat with either of those, but the stirrup bar seemed back a little in the Chloe. I kept waiting to feel like it was tipping me forward, but it did not. Back to the dressage saddles. Cordia picked the Darwood because it’s built on a similar (the same?) tree as the Chloe. Poe felt just okay in it, and I was pretty neutral on it. The Chloe was a hard number to follow. This was Cordia’s personal saddle; she worked with Ryder (an English saddlemaker) to construct the tree and everything. It’s her magic saddle that tons of horses love. It’s quite deep with substantial thigh blocks. The seat was much too small for me — I was pinned in, and posting off the cantle. Despite that, Poe seemed to like this one better than the Darwood, and got back a bit more of the loft and shoulder freedom he’d displayed in the Chloe. At $3k for the custom build, I mentally crossed this one off the list. This one in particular was not up for sale, and I didn’t get a really good feeling for how one that’s big enough for me would ride. So, I hung onto the Chloe. I decided if I really loved it, I would just postpone the dressage saddle search and do jumping and flatwork in it for the time being. The idea of not having to look at any more dressage saddles was frankly a relief. I also snuck in one more trial saddle I’d picked up from an outside source. I felt weird about having Cordia look at it (I don’t know why — stupid — but I felt strange saying I was still looking outside of her help when she was bringing me SO many possibilities), so I looked at it after she’d left. It was a County Conquest XTR jumping saddle, 17.5″ W. The panels seemed to fit well but the tree sat down on his wither. There was enough clearance that I felt okay riding in it for a couple minutes to get a feel for it, since I’d read so many rave reviews and gone to the trouble of picking it up. I just trotted a bit and cantered a circle — the saddle seemed comfortable and I liked the balance in the canter in particular. Obviously a no go with the wither issue. On Sunday I got to the barn early, and cleaned and conditioned my Beval until it glowed, then tacked up in the Chloe. Poe had his usual moments of geeking at a few things in the outdoor ring, but those moments just did not feel as dramatic as usual. The seat of the Chloe is much cushier than the Beval, and I felt like it would be kinder on trail rides. (When I do too much walking in the Beval, delicate places can get a little raw.) Jane was an awesome set of eyes on the ground, and gave me some great over-fences exercises to get used to and test the saddle. The verdict was that the balance was great on him and for me. My leg was beautifully underneath me. I was more relaxed to the fences, and kept my hips moving and shoulder unlocked more than usual. We did one tight rollback turn to a gate with poles set on it in a V (the tips of the poles touching in the center of the jump, and the ends coming out as wings toward the approach on either side), which Poe took from a slightly long spot with a very powerful jump, and though I stayed defensive and upright in my body (which is my go-to when jumping), I actually stayed with him. I pretty regularly get left behind, so it was a really strange and pretty awesome feeling to come in with my usual defense posture and have it actually work and not mess up his jump. I have also been struggling lately to drop my right hip and leg back when cantering to the left, and that monumental struggle was gone (or at least greatly lessened) in the Chloe. So — I would not say the Chloe fixed all of my jumping problems, certainly, but it made me realize how much easier life could be for me. I was feeling pretty good. As you may guess, knowing that saddle searches cannot be easy, the wither clearance was not good. It wasn’t something I’d checked on any of Cordia’s saddles the day before. But trying to poke my hand between the saddle and Poe’s wither, I couldn’t get my finger past the second knuckle without a struggle. It was close on the sides as well. I even got off him, tried to position the saddle further back, and got back on. Same result. Heartbreak. So now I’m in a waiting game. Cordia spoke to Adam who thought he could make a custom model that would fix the wither issue. I’m skeptical about taking the gamble. There are no fit guarantees (all custom saddles are final sale), and I just can’t imagine how he could fix the wither clearance without changing the currently perfect balance of the saddle or how it rides for me. I took pictures of Poe to share with him to get a more definitive answer, and am waiting to hear back. For him: This sat WAY too low around his withers, which bummed me out because otherwise it seemed like a really good him: very flat and wide, with a generous channel and pretty flat panels both side to side and front to back. It was right down on his withers when girthed up so I did not sit in it. For him: I thought this one sat on him pretty nicely from what I could see. Panels could be a little flatter side to side? He backed up fine in this one. Started out very distracted / high-headed / tight-backed because of horses and pigs outside of the arena. Not sure if the saddle contributed. He overall felt pretty normal while riding. For me: I immediately liked the narrow twist. It felt like there were weird grooves right behind the knee block, though (maybe from the front billet being threaded through a keeper on the inside of the flap?). My leg wanted to fall into them but they were not the right shape. Overall put me in a chair seat. For him: Also a decent fit to my untrained eye. Panels could be a little flatter side to side. Balance point too far back? While I was riding, he was reluctant to back up and felt rushed and choppy at the trot. For me: Oof, this one felt like sitting on a board. I’ve never been able to feel such distinct, hard edges to a saddle seat before. Put me in a chair seat. When I told Trumbull Mountain that I hated the twist in the Largo, their next suggestion was a Prestige 2000. I was pretty skeptical about it because it’s a 17″ and I have a long femur. In my research I read that Prestige doesn’t make half sizes, so the 17 is sometimes said to be equivalent to a 17.5. There are lots of good general reviews of them as nicely-made, long-lasting saddles; lots of people who have them love them. For Poe: Hollows between his shoulders and the panels under the tree points. Spit the pad back while I was riding. For me: Seat was definitely too small. It has substantial thigh blocks and is fairly deep, so my knees were jammed into the blocks and I was posting off the cantle a bit. I felt very pinned in. I’ve ridden in a couple now that have spit the pad back; I need to find out more about what could be causing this. I asked Trumbull Mountain and they said the saddle could be too wide or not the right shape, causing the saddle to shimmy side to side and work the pad out. For me: Twist felt wide. Also felt unbalanced left to right — not sure if I just got it tweaked a little when I was mounting up or if it’s how it’s flocked or what. I was kind of tipping around on it trying to find my position, and felt like the flap was too straight for where I like my leg. Friday I picked up three more to try from St. Croix. I was going to take out a Bates close contact, but there was an issue with the screws on the gullet plates, so I ended up with a Wintec 500 instead, which is marked as an AP saddle. Que sera, I knew I would be making a return trip anyway, so what’s one more? For him: Shape seemed in the ballpark, but lowest point seemed to be more back toward the cantle than where it should be. He did not want to back up in it and just generally didn’t seem thrilled. He wasn’t naughty, but also wasn’t really relaxed and willing. For me: The twist was on the wider side, but it was the least barrel-feeling and most secure of all the wider twists I’ve sat in. The stirrup buckles were directly under my thighs, which was super painful. Definitely a no from the buckle placement alone. For him: Balance point too far back? Felt like it shimmied side to side while I was riding. He was more willing to back up in this one vs the Bates. For me: I couldn’t find my sweet spot in this one. I felt like I was tipping around and couldn’t get comfortable — behind the motion, rise felt steep, etc. Sitting trot was more difficult than usual — I had trouble keeping the stirrups, even when I’d pulled them up two holes. I definitely didn’t like it, which was weird because I Loved the one from a couple weeks ago. For him: I felt like the back of the panel looked too pointy for him — like it was going to jab into his loin. For me: No. I was posting off the cantle and just generally not the right balance. For the last 2 years I’ve been riding in a 17.5” Max Benz Grand Prix Spezial. It’s a lightweight monoflap that I really like, but that I’ve been suspecting has grown too narrow for Poe. (Or, more accurately, Poe has grown too wide for it.) A friend gave me some rave reviews on a saddle fitter she’d just had out (Ann from thesaddlefits.com), and since I’ve never had the Max Benz looked at for flocking or fit, I thought it was a good time to do that. I really liked Ann. She confirmed that the Max Benz is way too narrow for him. She said my jumping saddle (17” M Beval Natural) is also too narrow for him, but less bad than the Max Benz. She shifted some of the flocking around but it’s just really not workable for him, so I have not ridden in it since. I miss it. Ann was moving to Virginia the day after my saddle fitting (of course) so didn’t have any demos with her. A friend at the barn had an 18.5” 33cm (MW-ish?) Thornhill Zurich on trial that she let me try. Ann liked the fit on Poe, but I felt like I was sitting on a beach ball, and also swimming around in the 18.5” seat. She recommended trying a 17.5” or 18”. Later that week I got my hands on a used 18” 31cm to try (weirdly marked a wide at the tack shop, but the stamp was 31, which is M). It didn’t sit as well on Poe – too narrow, rode up his shoulder – but the seat size was better for me. I still hated the twist – felt like it was trying to jam my thighbones apart. Next I started trolling ebay and used saddle sites for MW County saddles, since those had been a good shape for him 2 years ago (he’d taken a M then). I found an older brown Connection, 18” MW with forward flap and gussets. (Did I mention it was brown? I really love brown saddles.) The forward flap sounded great for me, the gussets possibly good for him to help with his flat back, so I had it shipped to me for a trial. My mistake at the time was not having a fitter lined up to look at it when it arrived, since I thought I’d be able to reasonably tell how it would fit. Well, it turned out to have almost no flocking beneath the pommel and panels, and I could not tell at all how it would fit once it was actually flocked correctly. Total heartbreak because I did ride in it and LOVED it for me. So much love. It rode like the old Competitor I tried 2 years ago and also loved. (Funny because I did not like the brand new Competitor I tried with the County rep 2 years ago.) I frantically emailed and called 3 (4?) different fitters in the area, but did not hear back from any of them in time. The trial was only 3 days so I had to send it back. I’m still pretty bummed and frustrated about this one, as I think it was pretty irresponsible for the tack shop to ship me something that was so wonky without giving me a heads up. And because I really f’ing loved sitting in that thing but suspect it would have been too narrow for Poe once it had flocking in it. Next, I took my own tracings and sent them to the much-touted Trumbull Mountain. Their recommendation is a hoop tree, specifically the Duett Largo. So they sent me an 18” 34cm Duett Largo to try. It rocks a little and spit the pad backwards while I was riding, and shifted up onto his shoulder a little. I felt like it was sitting on a beach ball, and the stirrup buckle was noticeably under my inner thigh, which was annoying. Looking at the pictures of it now I think the flap is a little too straight for me too, pushing my heel behind my hip. I have sent pictures to Trumbull Mountain but have not heard back yet, so not sure what their next step recommendation will be. My trainer brought an Equitation out for me to try. It was not a great fit for either of us. It was okay enough that I rode in it for my lesson. The flap was too short and it also rode up on his shoulder (I think too tight under the stirrup bars for him). I don’t remember the style/specs but I understand it was custom made for someone before Jane, so I think it’s pretty individualized. Last Saturday I had Cordia Pearson out to the barn (I contacted her while I had the County Competitor on trial, and she was the only one of the bunch to respond to me). She’s a general saddle fitter; Thornhill is one of the brands she reps. She agreed that the Max Benz is way too narrow, and did not like Jane’s Equitation (which fit with our assessment), nor the Duett Largo. She commented that he is very large and very barrel-shaped but seemed skeptical about the need for a hoop tree? She did not like how the tree of the Zurich fit him, but thought the Thornhill Danube (18” W) was perfect. I rode in it and hated it less than the Zurich or Largo, but did not love it like the Connection. She left it with me so I can ride in it for my lesson with Jane tonight. I’ve been thinking about it since though and I think it will be a pass; the thigh blocks are really far down on me, so they are functioning as knee blocks, and it also pushes my foot behind my hip when my stirrups are short enough for comfortable posting. I also don’t feel like I have a spot to sit in it – I kind of shimmy around up there and can’t really sit down into/with him. This is probably bad riding but I don’t think I should have to suffer through fighting the saddle to improve. In between all that I’ve set a bunch of other random stuff from the barn on him that has not worked. I should be writing these down, I know, but I haven’t been. For Poe: Ann liked the fit; Cordia did not. For me: Do not like – the twist was way too wide. Felt like it was trying to put a bend partway down my thighbones. For seat size, I was swimming around in the 18.5”; 18” seemed more appropriate. For Poe: Could not tell; flocking was a disaster. Probably would have been too narrow? For me: Love. Lots of love. For me: Too wide in the twist. Like with the Zurich, I felt like I couldn’t really sit on him. For Poe: Cordia liked the fit; this does seem to be the best of the bunch so far for him. For me: Better in the twist but still couldn’t find a sweet spot. My knees tended to jam up in the thigh block. Flap is probably too straight for my leg, pushing it back under me. Thigh blocks too low. 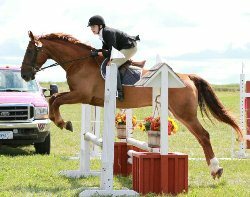 The Big Red Pony is Poe, a 2006 Holsteiner gelding who loves dinnertime, jumping, and being in everyone's business whenever possible (particularly if that business involves treats). His owner is Rachel, who also loves dinnertime and jumping, but is much more polite about staying out of strangers' bags and pockets. canadian pharmacy low cost prices super p-force U.S. manufactured canadian pharmacy online delivering medicines at your door.